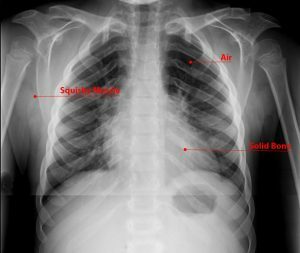 Parents, if your child is having an X-ray exam, this is the information they (and you, too) will need to know. You can read through this information yourself or read it to your child. It should help calm exam-day nerves. When a doctor needs to see something inside of your body, they might use an X-ray exam to take pictures of the inside of you from the outside of you. Don’t worry, it doesn’t hurt a bit and it’ll be done before you know it! The picture of your body is pretty cool, too. Solid things like your bones will show up white while squishy materials like your muscles will look gray. The air in your lungs will look black. Sometimes doctors need to look at your bones, teeth, lungs, or stomach to find what hurts and why it hurts so they can help you feel better. Doctors might also need you to have an X-ray exam so that they can check up on you after you’ve already been treated. The person who will take the X-ray picture is called the technologist. They’ll help you get ready for the X-ray by telling you how to stand, sit, or lay down, and they might strap down the part of your body they need a picture of. This strap will be like the seatbelt to hold you in place during the X-ray exam. For your X-ray exam, you’ll want to wear loose, comfy clothes. You might even get to put on a gown for the exam. 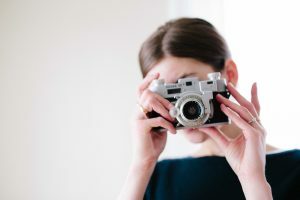 The technologist may also have you wear a protective neck covering, or they might put a heavy blanket on parts of your body that they don’t need a picture of to protect you from getting too much radiation. 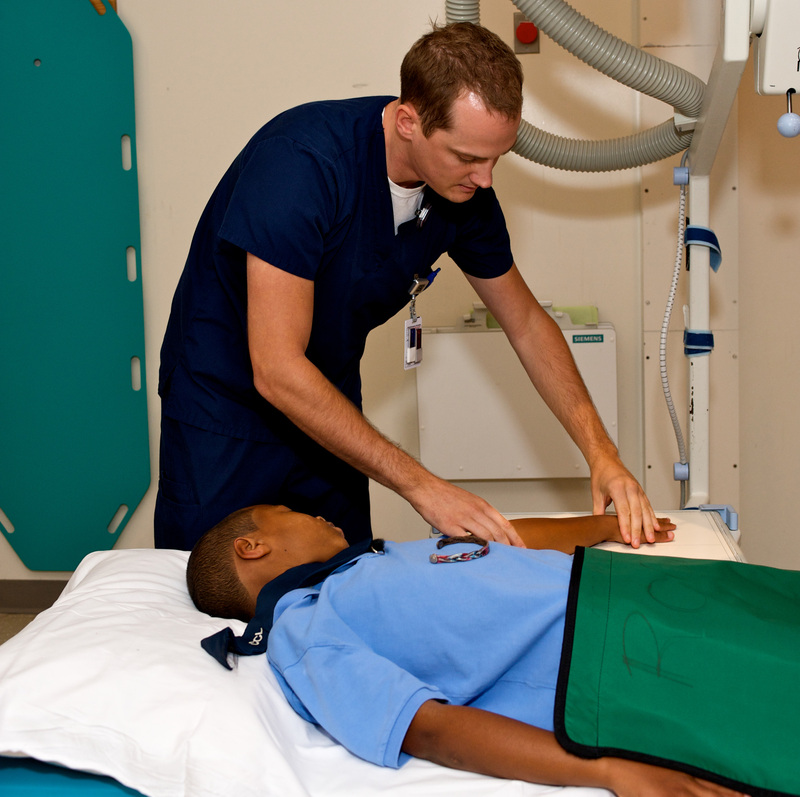 X-rays use a small amount of radiation, electromagnetic waves that can go through your skin, to take pictures of the inside of your body. It won’t hurt you during your X-ray, but too much radiation can be bad for you over time. Finally, your technologist might need to give you a dye called contrast. This will make your pictures really clear, which will help your doctor see better so they know how to help you. You might have to drink the contrast (with a yummy flavor like pink lemonade or fruit punch!) or a nurse will give it to you with a needle; but for X-rays you usually don’t need it. When it’s time to take the picture, your technologist will ask you to freeze, and you’ll stay completely still just like you do when you play freeze tag. It’s very important that you stay as still as possible so that your pictures aren’t blurry. Your technologist might ask you to hold your breath like you’re underwater, but you won’t have to hold it for long. Sometimes, you will need to move so that they can take a different picture. Your technologist will help you move to the right place and will tell you how to freeze again. Once your technologist has taken all the pictures they need, they’ll tell you that you can move again. They’ll remove any straps and help you up. Then they’ll give your pictures to the radiologist, the doctor who will look at them and see if there’s anything the matter with your insides. Your doctor will tell you what to do next! 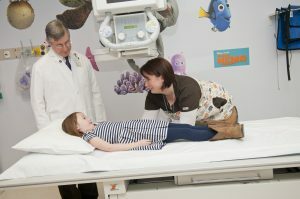 There’s a lot to learn about pediatric imaging at UVA. Most importantly, the imaging and radiology staff have joined the Image Gently alliance, a group that seeks to use the lowest possible radiation doses. Also, here’s where you can take an in-depth look at X-rays and the specific exams doctors use them for.